Basketball project, funded by the Finnish Ministry for Foreign Affairs, was launched last year in Somaliland. At the moment approximately 50-60 girls are attending training on a weekly basis in Hargeisa. Besides that they are getting health education. Shiffa`s partner organisation SOCSA is working together with local schools to provide this education to teenage girls. Girls on the Move! has gained public interest and also positive media publicity. International organisations have donated money to the renovation of the SOCSA compound. SOCSA has also been donated gym equipment, coffee shop appliances and furniture. This enables SOCSA to generate revenue from services, such as gym activities. 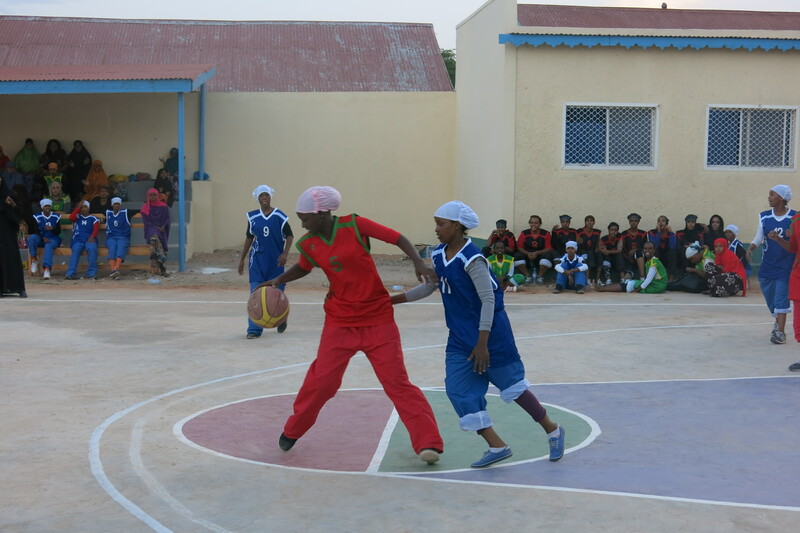 During this year Shiffa wants to promote and encourage basketball tournament acitivites in Hargeisa. Furthermore, we will focus on strengthening the self- esteem of the girls. One way of doing this is to train them media skills. We will have a second workshop on digital storytelling. Last December the girls made videos about their relationship with basketball. The topic of the videos was Me and Sports! The videos were produced by Aman Media female journalists. Me and Sports videos can be seen on Shiffa and Aman Media websites.